Do you remember the card game Concentration? Or maybe you called it Memory or Pairs? 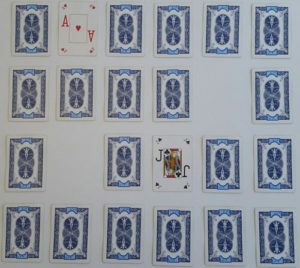 To start, all the cards were face down in rows. You chose two cards to turn over. If you made a match, finding two aces for example, you kept those cards and could turn over two more. If you did not make a match, your turn ended and the next person tried. The person with the most matches won. Early on the game was a real memory tester, because you had to remember the cards that you saw based on a single short exposure. As the game went on though, each card was revealed multiple times as you and your opponents continued to search for matches. Every time you saw a card, the chances of you remembering it when you needed it increased. Consider that: repeated exposure to the card increased the chance that you would remember it when you needed it. The same principle applies to your network of contacts. 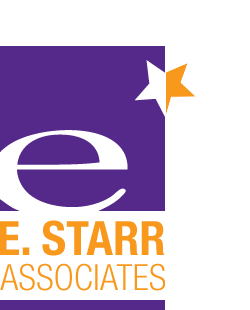 The more often you are in touch, the more likely your contacts will remember you when they need your services. LinkedIn updates are a free and easy way to stay in touch often. By now most of you know about LinkedIn and have established a profile there. But many of you are missing out on the real power of LinkedIn: staying in front of your connections regularly and making new connections via updates. It is after all a social medium. Have a LinkedIn marketing strategy. Take time to delineate the image you want to cultivate. Establishing expertise in your industry is a good start. Pass the “so what?” test. Each update should have a purpose, provide value and be relevant to your audience. Save thoughts on the weather or on the unusual breakfast you ate for Facebook. Stay professional. If you would not (or should not) share it at a networking cocktail hour, do not share it on LinkedIn. Include a link. According to QuickSprout, posts with links experience 200 percent more engagement. Share the spotlight. If you are creating your own content, by all means post it. But also post content from connections and sources that you trust. Introduce your update. Briefly highlight its meaningful aspect to start a conversation. Congratulate someone. Acknowledging someone’s new job, achievement, honor, award, or work anniversary is a generous way to share the spotlight and a non-solicitous way to get their attention. Comment on and “like” others’ updates. This is being social at its best. Your comment and like make the update show up on your LinkedIn feed. And when others comment on your update, your update shows up in theirs. I have gained many new connections and followers this way. Respond. Acknowledging someone’s comment to your update is a social courtesy. It also boosts the value of your update and prolongs its life. Announce a job opening. 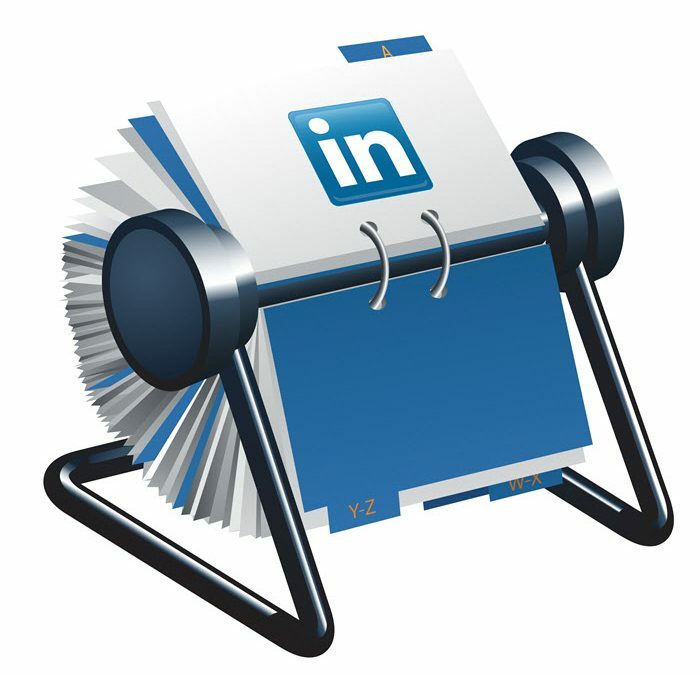 LinkedIn is an efficient way to notify your network when you are looking to fill a position. And it works. Via updates this week I connected an acquaintance looking for a Chief Financial Officer (CFO) with a CFO I met at a Superbowl party, and recommended a boutique Human Resources recruiting firm to a General Manager looking for a Human Resources Manager. Post regularly. QuickSprout reports that posting 20 times per month helps you reach 60 percent of your network. But if 20 times per month seems daunting, start slowly. I began with a once-a-week reminder for a couple of months. Then I increased to twice per week. From there I found myself naturally posting more often as I came across articles of interest and posts that I wanted to respond to. Post before noon if possible. Though QuickSprout reports more engagement that way, posting when you can is better than not posting at all. Schedule updates. Apps such as Buffer and software like Hootsuite can help you schedule updates if frequent LinkedIn checking does not appeal to you. Don’t schedule all of your updates. Scheduled updates make for one-way communication unless you go to LinkedIn occasionally to engage and comment. You can post an update right now! Please click the In button to share this article. How do you create a live link? When I select the link icon, it does not add a live link to my profile. 1. Go your home page on LinkedIn (the one where others’ updates appear to you) – usually this is where you land when you go to LinkedIn via your browser. 2. Click on the “Share an update” box just below where your picture and name appear. A dialog box with the words “What’s on your mind?” will appear. 3. Open another tab and go to the article or item you would like to post. Copy the url from the box at the top of your screen. This is the item’s address. 4. Paste the link into the dialogue box. Once you do that, LinkedIn will usually show any image that is related to the link as well as the title and some beginning text. 5. Once you can see the image and title and possible the text below the dialogue box, you can erase the link and enter any comment or introduction that you would like to appear in advance of your link. 6. Lastly, once your introduction is the way you want, click the blue share button. 7. Your update should appear shortly on your home page and on the home page of all of your connections. Recipients of your update will be able to click on the link of the item you posted to go to that site and and look at the content. You can test it yourself. Adriane, I hope those instructions are helpful. Please let me know if you have any other questions about posting an update.